Filmmakers Spike Lee and Jordan Peele are teaming up to bring an incredible true story to life on the big screen with Black Klansman. This news comes just days after a report that Spike Lee was being sought for the Spider-Man spin-off Nightwatch. John David Washington (son of actor Denzel Washington), who currently stars on HBO's Ballers, is in negotiations to star as a black police officer who was able to successfully infiltrate the Ku Klux Klan. The Hollywood Reporter broke the news today, revealing that Spike Lee will direct and produce, with Jordan Peele producing through his MonkeyPaw Productions company. Jordan Peele will also reunite with his Get Out producing partners Sean McKittrick, Shaun Redick and Raymond Mansfield at QC Entertainment, and Jason Blum at Blumhouse Productions. The project is coming together fast, with Focus Features distributing and the filmmakers eyeing a fall shoot. No release date has been set at this time, but that could be announced in the near future. The project will be adapted from the auto-biography of Ron Stallworth (John David Washington), an African-American detective in Colorado Springs, Colorado who, in 1978, answered an ad in a local newspaper, seeking new members for the Ku Klux Klan. He was able to gain membership and even rose to become the leader of the local chapter, although, for any in-person meetings, he would send along a white police officer in his stead, but he would often communicate with other Klansmen himself through the phone or other correspondences, where he gathered valuable information on the hate group, which he used to secretly sabotage a number of cross burnings and other hateful activities. The project will be adapted from Ron Stallworth's 2014 memoir Black Klansman, which will be adapted by the writing team of Charlie Wachtel and David Rabinowitz, along with Spike Lee and Kevin Willmont. The title is not in any way related to the 1966 blaxploitation film The Black Klansman, which followed an African-American man who goes deep within the KKK ranks, seeking vengeance for the death of his daughter. Jordan Peele and Spike Lee have been developing the movie for at least two years, with Shaun Reddick bringing the book to QC Entertainment, before reaching out to Monkeypaw and Blumhouse, after collaborating on the box office hit Get Out, which earned $252.4 million worldwide, from a $4.5 million budget. Spike Lee has said in recent interviews that he was a huge fan of Get Out, while Jordan Peele has cited the filmmaker as a big influence on his career. This marks the first time the two filmmakers will have worked together, with a project that could not be more timely, given all of the racial unrest in America, which is likely a reason why this project seems to be on the fast track to production. Spike Lee most recently directed the Netflix original film Rodney King, which debuted back in April. Jordan Peele was approached to direct Akira following the success of Get Out, but he ultimately backed away, and it remains to be seen what he will direct next. John David Washington can currently be seen as Ricky Jerret on HBO's Ballers. 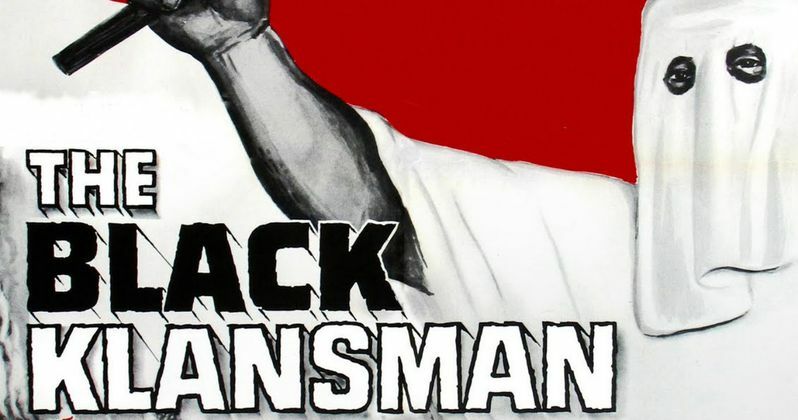 Hopefully we'll have more on Black Klansman in the very near future as we get close to production starting.